Beijing is broadening its economic and diplomatic reach in the Middle East, forming closer ties to states like Syria. The strategic shift will benefit China’s security and economic aims going forward as Syria can play a major role in Beijing’s new foreign policy initiatives. However, closer relations with Assad will anger other regional actors – particularly Turkey, whose support Beijing needs to carry out its vision for the region. In May 2017, China’s President Xi Jinping held a two-day long forum on his signature trade initiative, One Belt, One Road (OBOR). A vast project spanning over some 68 countries, OBOR aims to create a ‘New Silk Road’ from China to Western Europe that is projected to lift trade by $2.5 trillion over the next decade. To shore up the new trade route, China has taken a more active role in Central Asia and the Middle East. This has meant reaching out to states like Syria. Some 130 countries sent representatives to the Belt and Road Forum, among them a minister from Syria. It’s one of the few international events the Assad regime has been invited to since the outbreak of civil war. The OBOR initiative could lead to a massive boost in trade and promote China’s access to foreign markets once the conflict subsides. 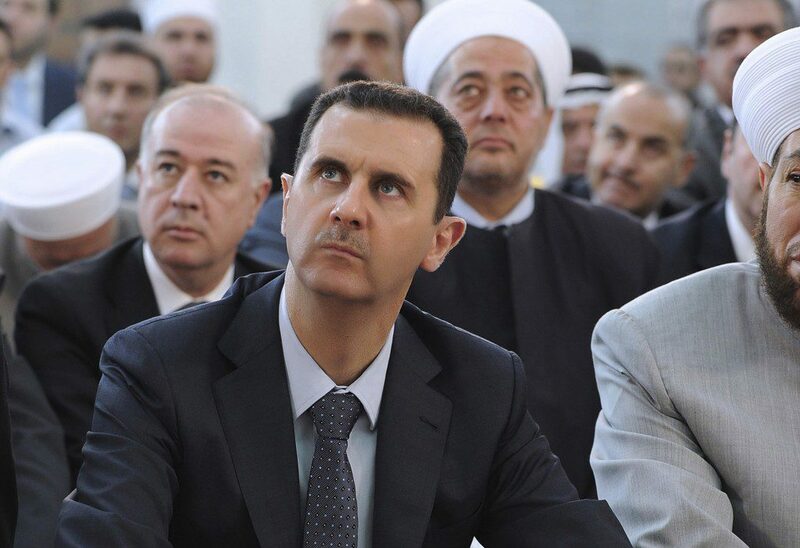 Indeed, President Bashar al-Assad said in an interview with the Chinese broadcaster Phoenix Television that “China can be in every sector [of the Syrian economy] with no exception.” Beijing has not ignored this attractive proposition. 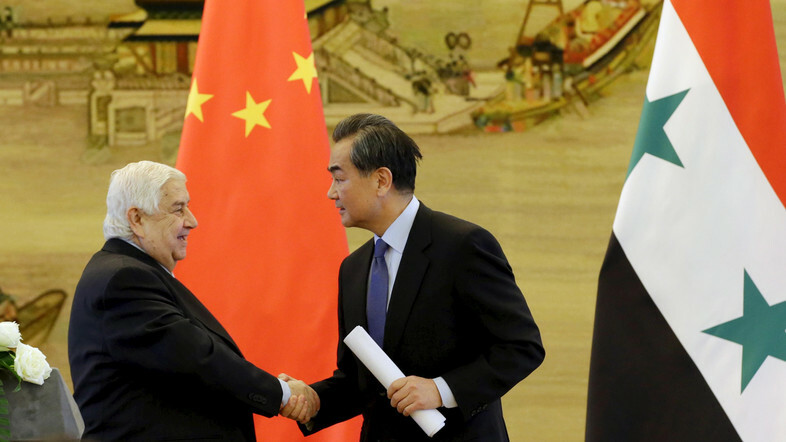 China, for its part, needs a stable and friendly Syrian regime for its OBOR initiative. While plans for the initiative’s land route are not finalised, key stops in Tehran and Istanbul have been confirmed. These two cities will most likely be connected by a railway through northern Syria. Beijing’s other option is to build a railway through eastern Turkey, a far more inhospitable region with fewer trade opportunities and significantly more expenses. Even should Beijing choose to build in Turkey, China will still want access to Syria’s oil and mineral deposits. 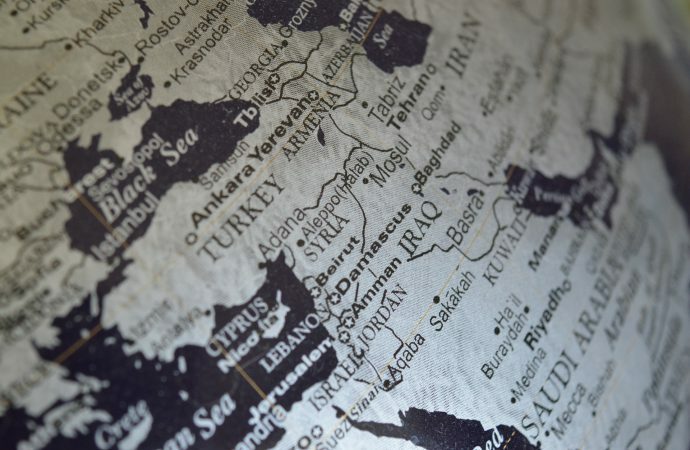 Syria is also a key trade route connecting the ‘New Silk Road’ to the Gulf States that provide the largest source of China’s crude oil imports. Consequently, Beijing has been showing signs of support for the Assad regime. China has been one of the few states to maintain an embassy in Damascus throughout the conflict, but until 2016 Beijing has kept its distance in line with its non-interventionist foreign policy. This began to change in March 2016 when China announced a special envoy to Syria to “better proactively put forward China’s wisdom.” In August Guan Youfei, the director of the Chinese Office for International Military Cooperation, said on a visit to Syria that “China’s military is willing to keep strengthening exchanges and cooperation with Syria’s military.” Specifics of what this entails were kept private. Closer military ties do not only favour the Assad regime. In the north-western province of Xingjang, Beijing has been trying to quell separatist movement among the Uyghurs, a Muslim minority group with close ethnic ties to the Turks. During the 2008 Olympics, Uyghur separatists were linked to a series of attacks, which continued through to 2009 when a riot broke out in the Xingjang capital of Ürümqi. After several days, the People’s Armed Police silenced the protestors, leaving nearly 200 dead and 1,500 injured on both sides. Since then, the Chinese government has kept the Uyghurs on a tight leash through closer monitoring of mosques, a stronger security presence and by forcing thousands of Uyghurs into exile. Many of these exiles travelled to Afghanistan and Pakistan to fight with the Turkestan Islamic Party (TIP). The Islamic extremist organisation calls for the creation of an East Turkestan State in Xinjiang and was blamed for most of the attacks in China. TIP also has a long relationship with transnational terrorist groups, including al-Qaeda. Under pressure from China in 2013, Pakistan banned the TIP, forcing many of its fighters elsewhere. TIP militants then started to emerge in Syria and they now form a significant force on the side of the rebels. While its core leadership is still based in Afghanistan, TIP has fought with al-Qaeda affiliates in Syria in Hama and Idlib, and when the al-Qaeda backed the formation of Hay’at Tahrir al-Sham in 2017, TIP was one of the first militias to join the new group. The Syrian ambassador to China believes there are 4,000-5,000 Uyghurs fighting with the rebels. Cooperation with the Assad government in Syria could allow Beijing to hit two birds with one stone. It would both secure the support of a key state on the OBOR project while also diminishing the power of a terrorist group that operates within China. Further cooperation with Assad would also strengthen ties with Russia, which will be an important ally when building the OBOR through Central Asia. However, the complex web of interests in the Syrian conflict may cause problems. TIP draws on pan-Turkic as well as Islamic support – a complimentary ideology to that espoused by Turkish President Recep Erdogan, who has built popular support through his Turkic and Islamic nationalist rhetoric. In 2009, Erdogan expressed his support for the Uyghur separatists, referring to Chinese actions as “a sort of genocide.” Turkey has even provided support to the TIP in Syria through the ‘Army of Conquest’ coalition. Further attacks on Uyghurs within Syria will further sour Beijing-Ankara relations. Moreover, working with the Syrian government will draw significant Turkish ire, as Istanbul is backing fighters against the Assad regime and Kurdish rebels in Northern Syria. China is a new player in the Middle East, and fresh to the multiple conflicting interests of the region, particularly surrounding the Syrian civil war. Though China will benefit on both an economic and military level from working with the Assad regime, such cooperation will threaten relations between Beijing and Ankara and ultimately complicate the development of the OBOR initiative.